Be the center of attraction at an upcoming party when you wear this green & maroon colored necklace set from the house of Anuradha Art Jewellery. 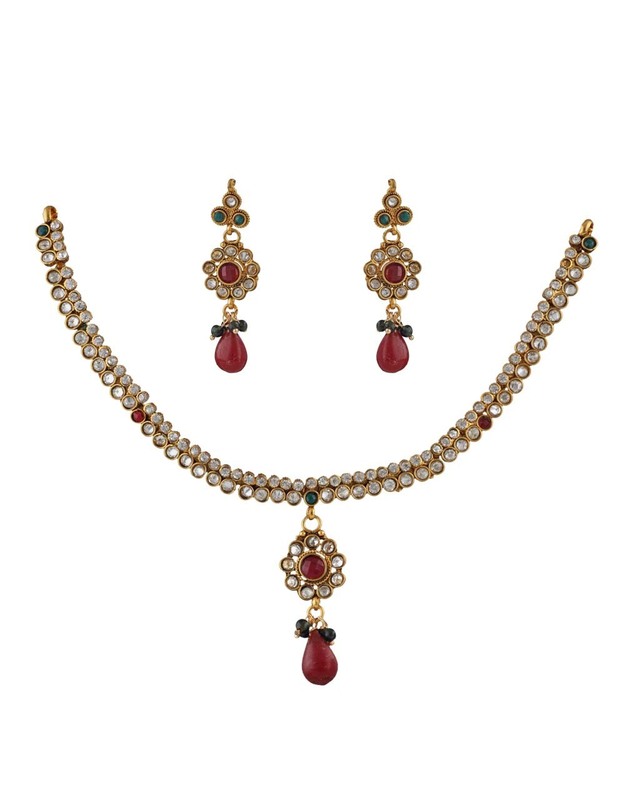 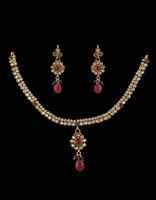 Featuring a unique design & finish as well, this necklace set will look good with both suits and sarees. Crafted from 40% silver and golden polished copper. 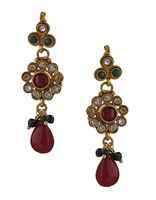 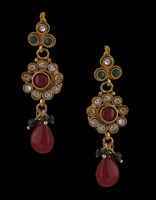 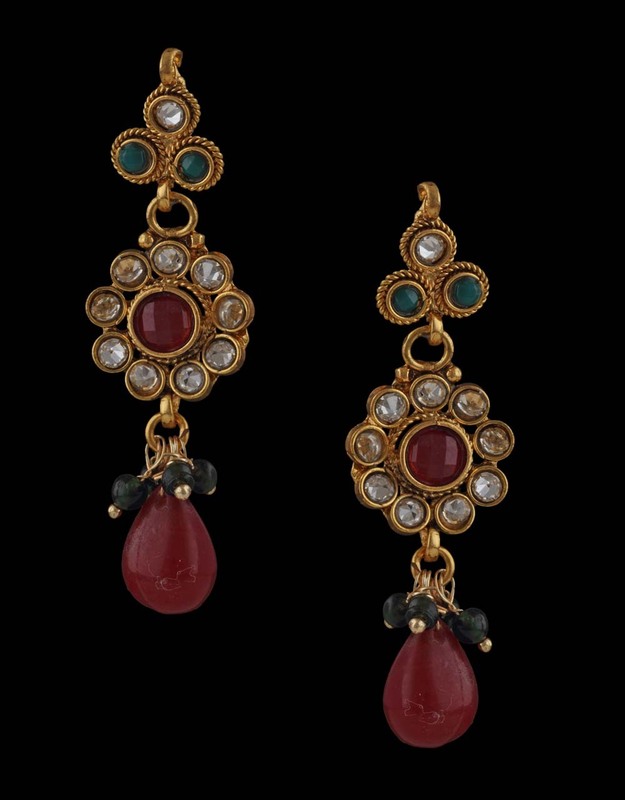 It is encrusted with polki stones.